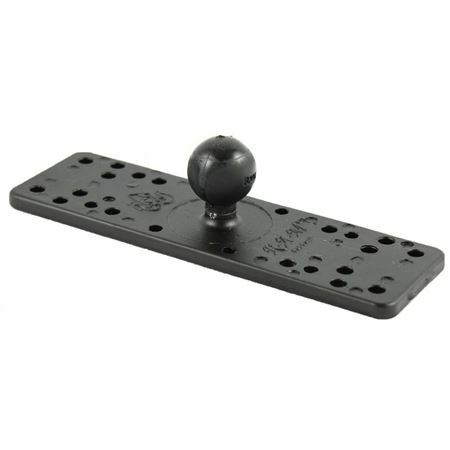 The RAM-B-111BU RAM 6.25" Rectangle Base w/ 1" Ball from the RAM Mount Bases range is made up of a flat rectangular base, sized 6.25” x 2”, joined to a 1” diameter rubber ball. The base of this device is compatible with a wide variety of electronic devices and mounts, such as Grimbal Brackets, CB Radios, Marine GPS, Ham Radios, and many more. It is professionally powder coated with marine grade aluminum.